Google has recently released the +1 feature. So what exactly is this? It is basically a way for someone to “like” an Adword, web page, or Google search result. So for example if Johnny liked how you handled the sale of your house and he “liked” your website he found doing a search, he basically gives you his stamp of approval. In essence you are recommending content to your friends. So if you are in the market to sell your house and want to find an Agent, a +1 could help you out. In order to use +1 things, you first need a public Google profile. This helps people see who recommended that Agent or that great Hotel. When you create a profile, it’s visible to anyone and connections with your email address can easily find it. 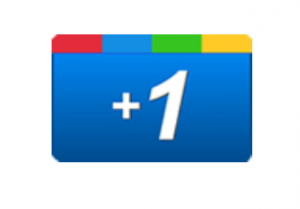 Something new that Google also rolled out is allowing you to place the +1 button on your website. Think of this as kind of the Facebook Like button. So when you “like” the webpage you will now have that like inside of Google’s search results as well as your Google profile so your friend can see it. The +1 like is also smart enough to connect to your Adwords if you used the same URL. Stay tuned into the RE/Advantage blog this week as I will detail how to add a +1 button to your website! Previous postFree Real Estate Technology Tips Anyone?